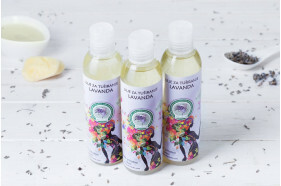 Lavandin flower water is one of the most favourite flower waters due to its scent and its calming and regenerating effects on sensitive skin. 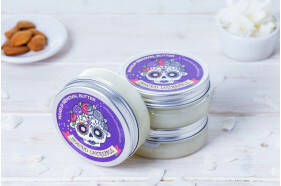 It can be used in hydrating face masks, as toner and makeup remover, as air moisturizer in rooms with central heating system, after shaving and hair removal and to prevent inflammation. It soothes the skin after being exposed to the sun, burns, insect bites and itching. It is recommended to spray the flower water on skin before applying sunscreen products because it moisturizes the skin and prevents sun damage. 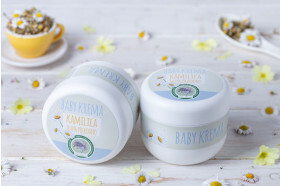 It is a favourite skin care product for babies and children because it soothes their skin, and is therefore recommended for use in baths, as after-bath toner, as skin care for baby's bottom etc. Lavandin flower water is an ideal skin care product for almost all skin types, because of its balanced pH level (5.6-5.9). 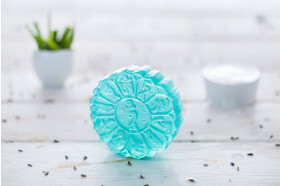 It has regenerating, cleansing and refreshing properties; it helps relieve the discomfort of insect bites; it is the ideal face spray to refresh your skin in the summer heat, it helps with sunburns relief, especially when combined with peppermint flower water. It is an excellent skin care product for sensitive skin, acne and other inflammatory skin conditions. You can combine it with bay laurel flower water to prevent skin infection and redness after hair removal. 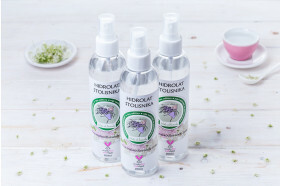 The combination with immortelle flower water effectively prevents ingrown hairs. Applying it to your skin together with witch-hazel flower water, before sunscreen, helps to retain skin moisture in the sun and protect it from damage caused by wind and heat. - It is used as facial toner because it hydrates and nourishes the skin, it doesn't dry out skin because it is alcohol-free. 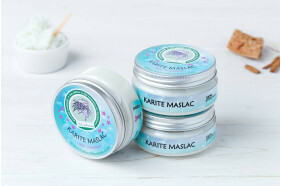 - Apply it generously on your face and leave it to absorb and deliver deep skin hydration. - It removes all traces of makeup. - It reduces the redness of inflammation (not instantly of course, but it reduces it quickly and is remarkably effective). - After hair removal, apply it generously to a cotton pad, wipe over the body part being treated, and reduce redness within 10 minutes. Just spraying it onto the skin will have no effect. - After hair wash, spray it on your hair while it is still wet, warm up a towel in the microwave for about 30 seconds and then wrap it around your head for more hydrated and elastic hair. - If you get a canker sore (aphthous ulcer) in your mouth apply the flower watter to the inflamed area with a cotton bud. - If you have angular cheilitis at the corner of your mouth it will go away after just a few applications of the flower water. - It is a great cooling body spray in the summer heat. Spritz yourself as needed to cool down. - It can disinfect wounds and stop bleeding. 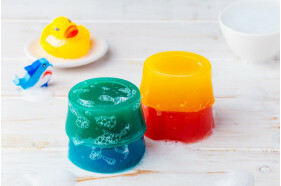 - It can be used instead of thermal water and applied on face to refresh your skin from the heat. - It is all natural and therefore suitable for children. - It can be used while ironing. Pour some flower water together with regular water into the iron and you'll have lavender scented laundry. However, don't be surprised at the scent of the flower water. It may be a little bit overpowering and awkward when you use it at the beginning, but it gradually fades over time and you get used to it.